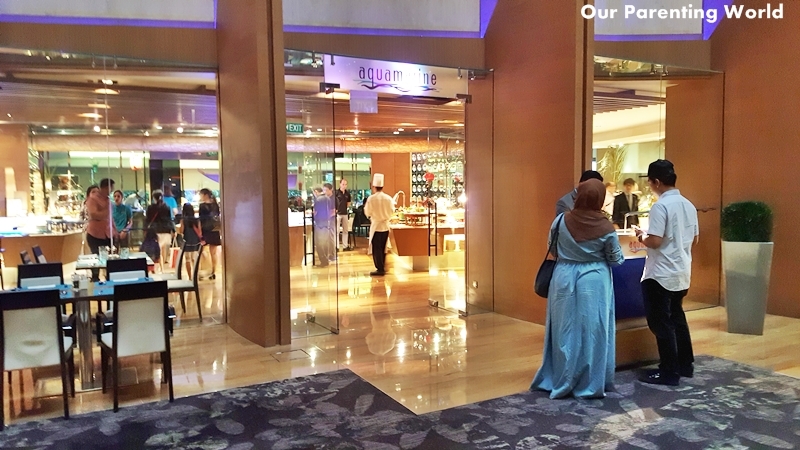 AquaMarine at Marina Mandarin is well-known to serve a wide variety of delectable, sumptuous and authentic Halal certified buffet consisting of Local, Asian and International favourites. It is definitely one of the best places to celebrate and indulge in Iftar, the first meal eaten by Muslim after sunset during Ramadan, the month of fasting. 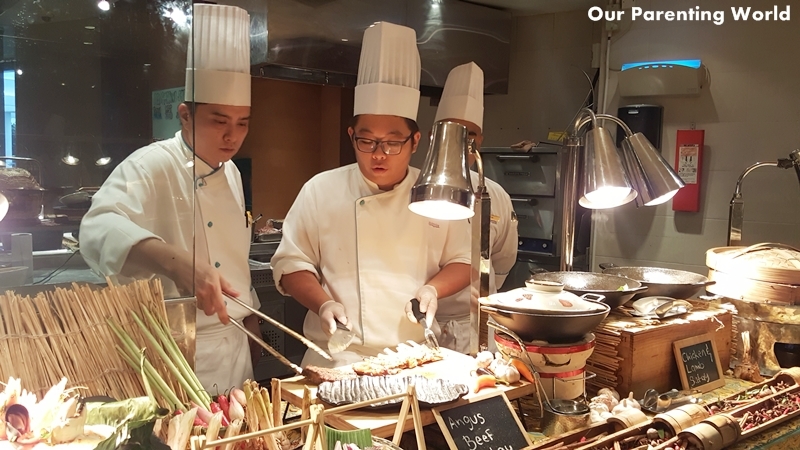 We have always been impressed with the food at AquaMarine and with its dedicated and talented chefs whipping up all its delicious cuisine, you can be assured that you are getting the best gastronomic food experience! 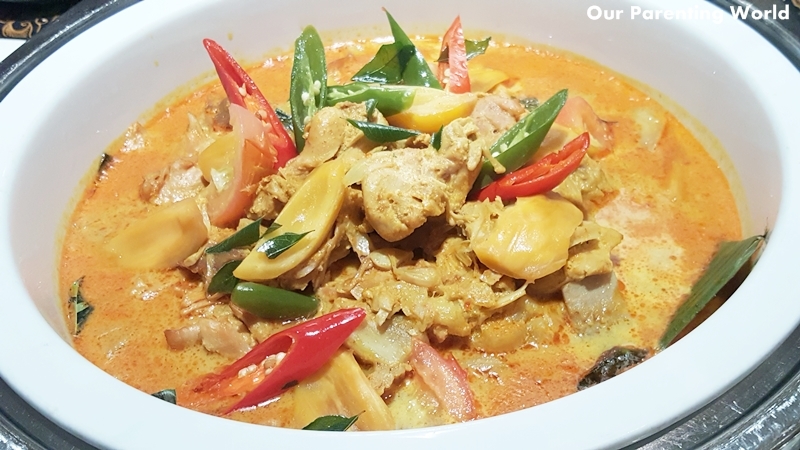 This is a rich, aromatic and delightfully flavourful curry with tender chicken and sweet jackfruit simmered in spiced coconut. 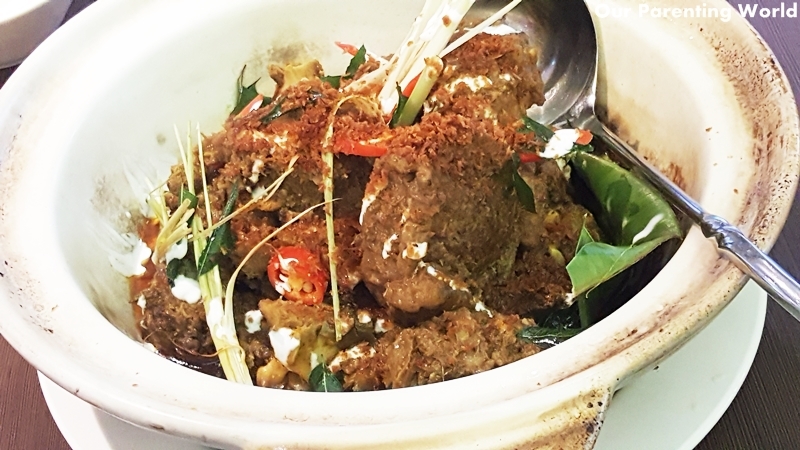 This is such a deluxe rendang using Wagyu Beef Oxtail and a must-try! A magnificent dish that is so full of flavour and the meat literally falls apart when you put it into your mouth! 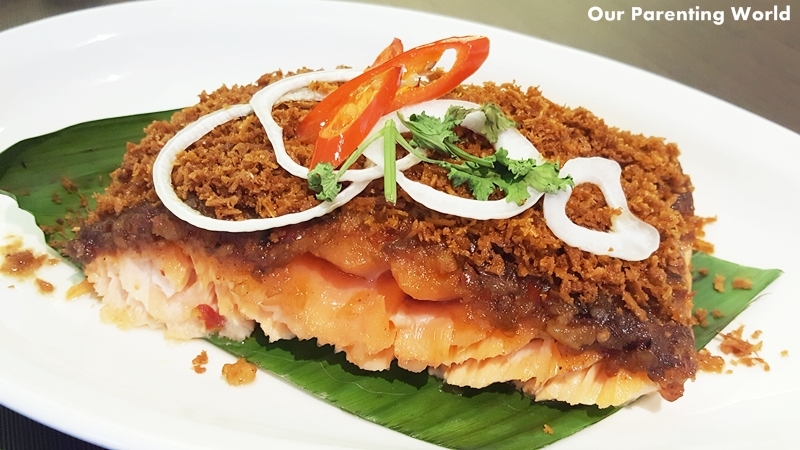 The rempah (a paste of spices) gives an intense flavour to the dish making the fresh salmon even more tasty! In addition to Spicy Coconut, Chicken and Jackfruit Curry, Wagyu Beef Oxtail Rendang and Grilled Salmon with Rempah, diners can also look forward to Balinese Roasted Whole Baby Lamb, Tamarind Pineapple and Chilli Dip only available exclusively on Friday and Saturday evenings! That’s more! If you dine with a minimum of 4 persons and up to a maximum of 8, you can enjoy 30% off the Iftar Buffet dinner with your family when you produce a printed 4R family photo. Ramadan Dining at AquaMarine promotion is available from 25th May till 26 June 2017.